Interiors and lifestyle photographer, working with magazines, brands, interior designers, architects and hospitality and leisure clients. Susie Lowe is the go-to lifestyle photographer for some of Scotland’s – and the UK’s – best-known brands and publications. Her photographs have appeared in a wide range of top quality national and international publications, including Grazia, Stylist, Condé Nast Traveller, Sunday Times Style, The Scotsman, Apartment Therapy and Design Sponge. Susie has created successful campaigns and beautiful content for hundreds of high profile brands, including Rocco Forte, Lululemon, Diageo, Seafood Scotland, Radisson and Knight Frank. Understanding the part visuals play in building a brand has led to Susie forging long-term partnerships with many clients. She helped launch i-on, Scotland’s largest lifestyle magazine and is now head of photography for the magazine 12 years on. She is also the photographer behind award-winning interior blog The Pink House. 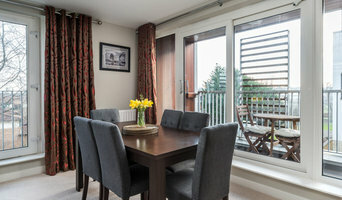 Property photography, floor plans and videos for estate agents, letting agents and private clients throughout Edinburgh. Welcome to Iris Art Photography, an Edinburgh based company. We provide professional photography services from wedding reportage photography through portraits, family and baby photography to commercial photography, headshots, models portfolios, fashion photography. Please contact us for a free quote. We’re passionate about our work, natural, creative and relaxed. Our imagination never ends… We listen to our clients and try to learn as much as we can about themselves, their plans and expectations. This helps us plan the session carefully. Although, we try to be very relaxed and informal, we are ready to give you subtle directions, should you feel you may need it. If you’re interested, feel free to contact me for an informal chat and we’ll take it from there. There are no extra consultancy charges. After years of working closely with our clients, we understand what’s needed to make your day and your photos special and unique. Viva Images offer high-end professional property photography services, which contribute to creating a complete and realistic picture of a home or your business. 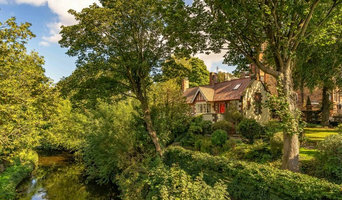 Our photographers ensure that the visualisation of the property is carried out professionally so that you can deal with what matters: selling or renting out your property. 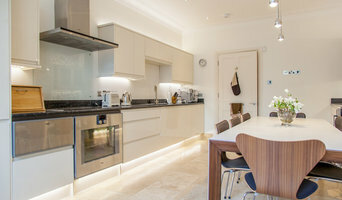 I am a property photographer based in Edinburgh. I specialise in residential property photography, floorplans and video for the sales and letting market throughout Central Scotland. Currently based in Edinburgh and always looking for new challenges on projects throughout the UK and abroad. Recent commissions include Knight Frank, Strutt & Parker, Savills, Simpson & Marwick, MDA Studio Architects and Countrywide. Property, architecture, interior and product photography. Professional Photographer in Edinburgh, Scotland Available for Weddings, Portraits, Commercial, Architecture and Events. Why should I hire a professional interior photographer in Edinburgh, City of Edinburgh instead of leaving it to the estate agents or letting agents, or taking the photos myself? A professional interior photographer in Edinburgh, City of Edinburgh will be able to evaluate the key selling points of your home and present those in a way that is truthful yet instantly appealing to viewers. Those images should be unique to your property, capture its feel and hint at its true potential. If you live in a top-floor studio, for example, the focus should be on natural light, views, detail and clever use of space. However, those living in a rural cottage should make sure that the cosiness of the fireplace lounge, the characterful range cooker kitchen and an abundance of outdoor space are shown off. Obviously, most estate agents and letting agents organise property photography themselves but some either don’t use the right equipment or they rush through the job. Let’s be honest, photography is not a core part of their skill set. If you are selling your home through an estate agent, you can expect to hand over at least 1.5% of the agreed price. Surely that should pay for a carefully considered and highly appealing set of photos? Not necessarily. And that's not all. Unless you live in a property hotspot, it’s a buyer’s market out there; fiercely competitive. Why not stand out from the crowd? For the right reasons. 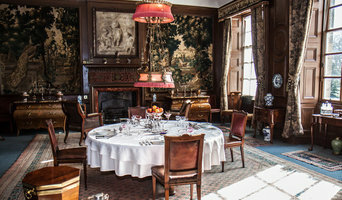 You will be amazed by what a professional Edinburgh, City of Edinburgh interior or architectural photographer can do, given the time and a few extra pounds. And let’s not forget post-production and retouching. Some Edinburgh, City of Edinburgh interior and architectural photographers will spend three times as long editing as they will shooting. If you have ever tried to use photo editing software such as Adobe Photoshop, you will understand why. That expertise and attention to detail is what you are paying for. And it might just pay back, with interest. Where can I find the best professional interior photographers and architectural photographers in Edinburgh, and what should I be looking for? The best place to start is Houzz. Search for Edinburgh, City of Edinburgh photographers in the Find a Pro section and then start to fill your Ideabooks with your favourite photos. Think about whether you need a professional with particular expertise – interior photographer, architectural photographer, landscape photographer – or an all-rounder. We also have professionals that specialise in 360-degree photography, if necessary. Some Edinburgh, City of Edinburgh architectural photographers are more experienced in shooting certain types of property such as contemporary apartments or coastal retreats. You can find them by browsing the Photos section and working through the relevant style category. Carefully look through each portfolio, try to imagine who might best bring to life your home and then contact a shortlist of three. Although not essential, if he or she is a member of the Master Photographers Association (MPA) or the Association of Photographers (AOP) that might imply that they more seasoned and trustworthy. Find an interior photographer on Houzz. Narrow your search in the Professionals section of the website to Edinburgh, City of Edinburgh photographers. You may also look through Edinburgh, City of Edinburgh photos to find examples of photography that you like, then contact the interior photographer who worked on them.